Cocktails in Birmingham are a big thing. 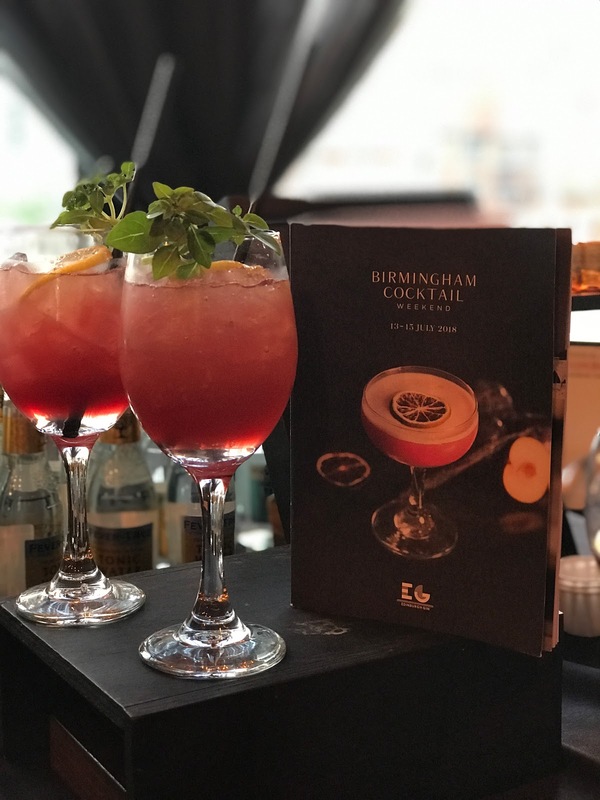 We love a good tipple, and if it's not a gin (also big), then we Brummies tend to love a good cocktail or two. Birmingham Cocktail Weekend happens every year, and is one for every cocktail lover's diary. For the price of a ticket, grab a wristband and flash it at the bar in any one of the establishments taking part in order to get yourself a bargain cocktail. This year, the hub was located in the Mailbox, where ticket holders exchanged tickets for wristbands and got to try some cheeky gin samples from Edinburgh Gin, the main sponsors of the event. From then on in, you're free to wander to any of the 40 venues and try out their especially created cocktails for #BCW2018. In true sleuth style, although pictures of the cocktails are released, you'll have to rock up at the bar to find out what's on offer at each venue keeping it fun and full of surprises. Cocktails this year were just £4 at each venue, making it an accessible event for all. 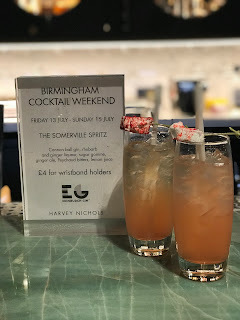 My favourite cocktail was at Harvey Nichols, where it came served with a marshmallow to keep those hunger pains at bay. Sadly I didn't try all 40 cocktails but there's always next year and I only need to beat this year's record of three! There are also a host of events every year which sell out fast so sadly I couldn't attend. These included masterclasses on everything from Whisky to Tanqueray and even a Chambord Afternoon Tea. Be sure to book tickets for these quickly. 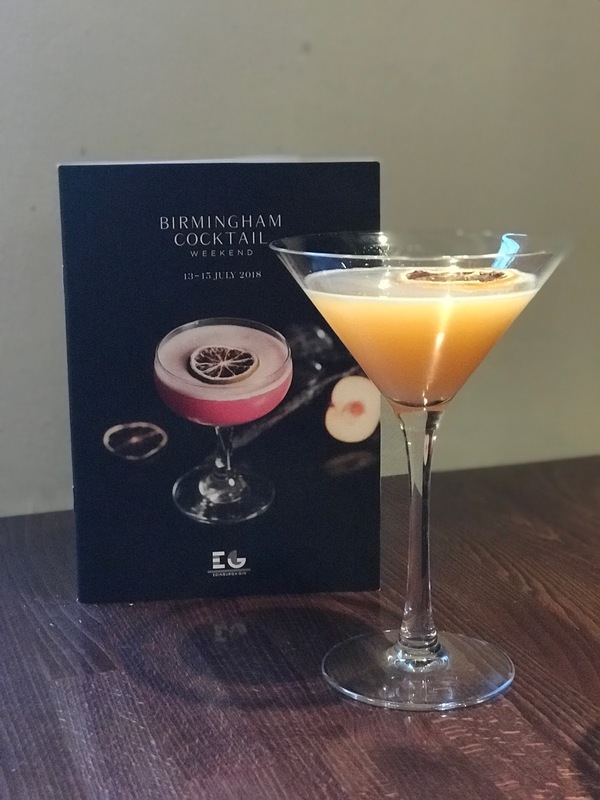 You can find out more about Cocktail Weekend here, and it's not too early to book this in the diary as the dates have already been released for Birmingham Cocktail Weekend 2019. See you there! *With thanks to Birmingham Cocktail Weekend and East Village PR for the complimentary tickets.